We welcome new members to come and sing with us. No auditions are necessary, all that is required is a love of choral music and be able to sing in tune. You will be invited to come along to a couple of rehearsals to see if you would like to join us. If you are coming along to a rehearsal for the first time, please contact us via this website in advance to let us know so that we can meet you and show you how things work. 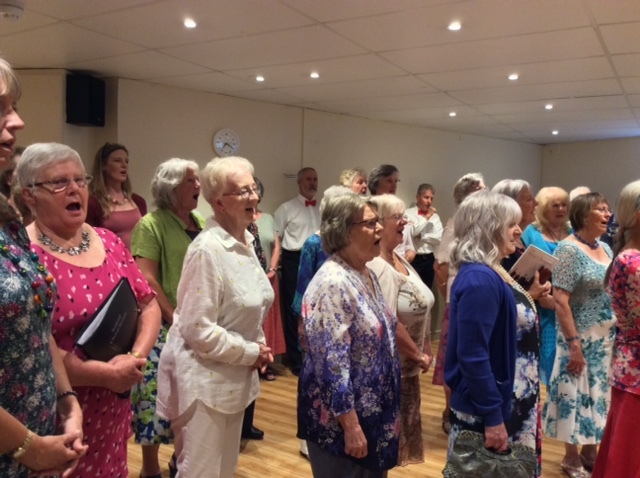 We rehearse from 7.15 pm to 9.15 pm on Monday evenings throughout the year – from the beginning of September to the end of November, and from the begining of January through to June. Rehearsals are held in Seaford Baptist Church, Belgrave Road, Seaford. If you are interested in joining us, please send an email via the Contact link. New singers are welcome to join and sing with us up to the third rehearsal for each Concert. You will then be expected to pay the subscription fee for the term of £35.